Janet Slocum loves a challenge. Not only is she employed at MD Anderson, she’s co-owner of the Second Chance Saloon and La Porte Towing. “I’m a girl that will do anything!” she acknowledged. One role she would have easily said “no” to however, is breast cancer patient. Before she was even 50 years old, she discovered she had the disease. Diagnosed in October of 2006, she now lives cancer-free and supports organizations like The Rose, a nonprofit breast health organization. When she and her husband Bobby took over the Second Chance Saloon in Pasadena, Janet knew she had a ready-made fundraising venue. The donation puts Janet and Bobby in a fundraising category created just for them – Leaders of the Pack. Joining them as other 2013 sponsors are San Jacinto Harley-Davidson, The Greensheet, Grandbridge Real Estate Capital, Grayco Communications, Pipefitters Local Union 211, IBEW LU 66, Buffalo Flange, Inc., La Porte Towing, Inc., MDN Enterprises, Novus Wood Group, and Waltech Co., Inc.
Other highlights include: an online opportunity for riders and “ghost riders” (registered participants who enjoy the festivities but do not ride) to raise funds as teams or individuals and additional live entertainment from The Slags and popular radio personalities Dean & Rog. 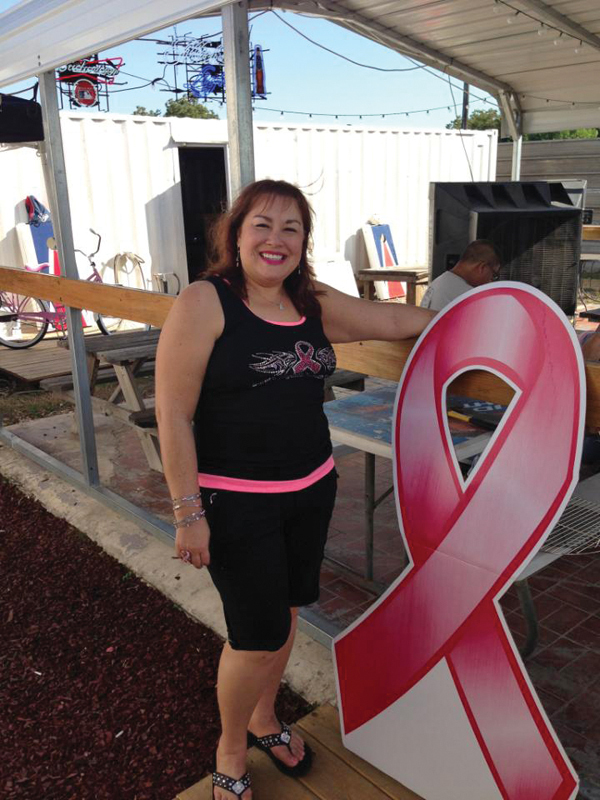 The 5th Annual Bikers Against Breast Cancer is scheduled for May 11 at (San Jacinto Harley Davidson 3636 E. Sam Houston Parkway South Pasadena) with registration open at 8:30 a.m. and Kickstands Up at 10:30 a.m. Participants can register online and create a fundraising page at www.TheRose.org. Cost to register is $30 Rider; $40 Rider + Passenger and $30 Ghost Rider. To find out more, call 281.464.5165, email events@TheRose.org.